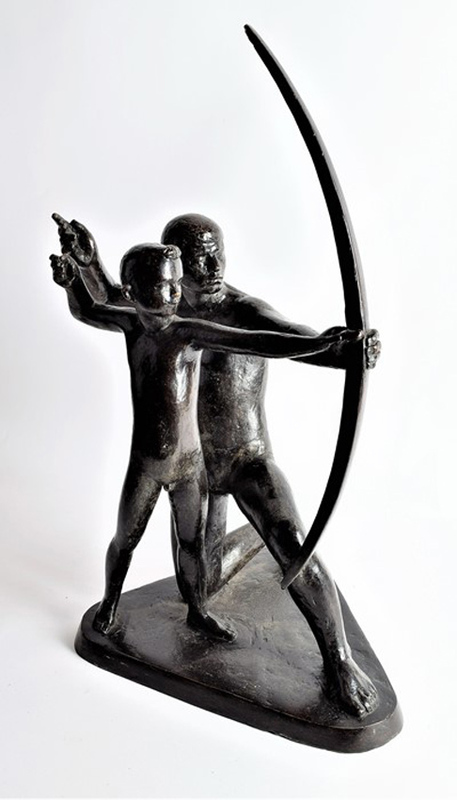 Among the highlights of the sale was an early 20th century bronze of a father teaching his son archery which took £2700 against a £200-400 estimate. The bronze is unsigned but in the Soviet Russian modernist style and could be by a follower of Soviet sculptor Vera Mukina (1899-1953). Her most celebrated piece Worker and Kolkhoz Woman - the world's first welded sculpture - was the Soviet pavilion's crowning feature at the Paris 1937 International Exhibition. The bronze group was bought by a UK collector. Another notable work from the January 19 auction was a group of watercolour costume designs by Russian avant-garde artist Natalia Goncharova (1881-1962). They sold toward the bottom estimate at £650 to a buyer in Russia. A hand-painted Russian commemorative charger. 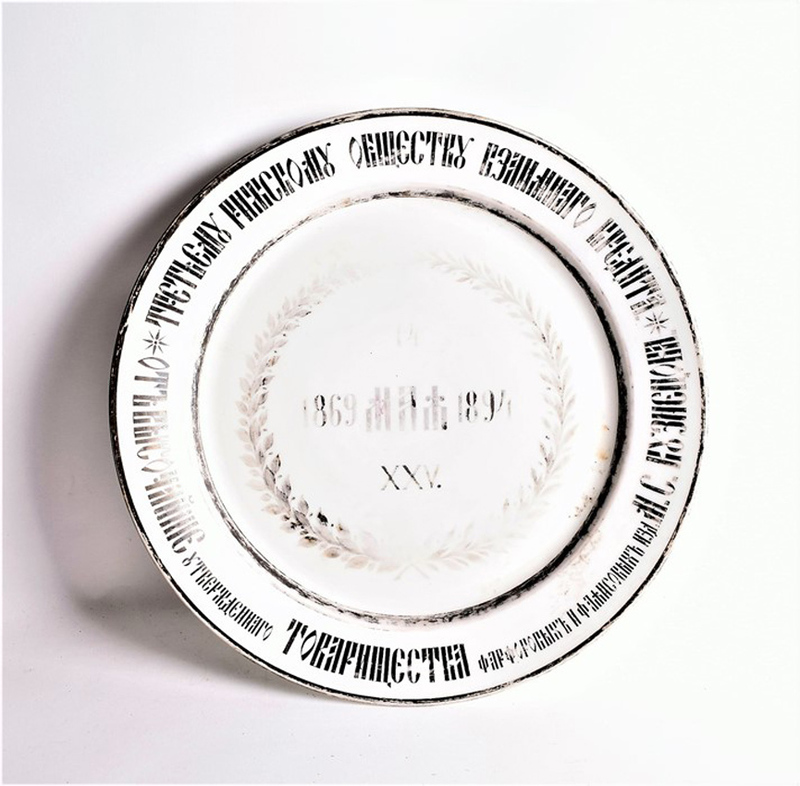 A hand-painted Russian commemorative charger plate for the 25th anniversary of the Credit Union for the Society of Porcelain Workers at the Kutznetsov factory in May 1869 sold at £450, against a £150-250 estimate, to an internet bidder. These objects were among 24 lots from the Piccadilly Arcade gallery Iconastas which closed last year. Objects owned by the late collector were consigned for sale to Dawson’s and Salisbury auction house Woolley & Wallis. He said Dawson’s will offer more objects from the Iconastas Gallery in its next sale on the February 23, which it is currently consigning for and which will be available to view on thesaleroom.com.